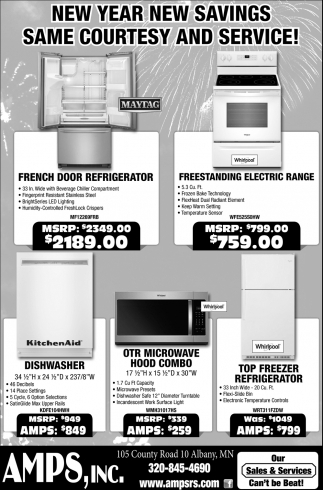 Our Sales & Services Can't be Beat! 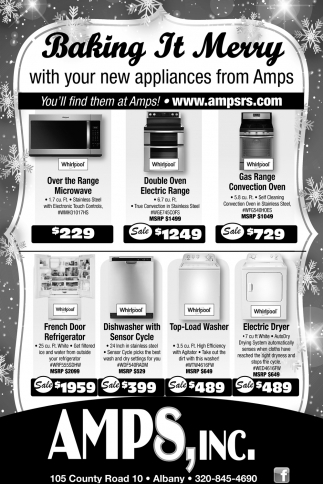 You'll Find them at Amps! 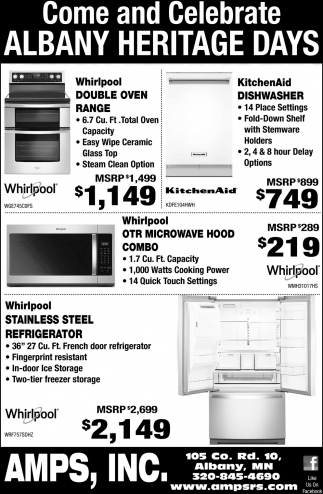 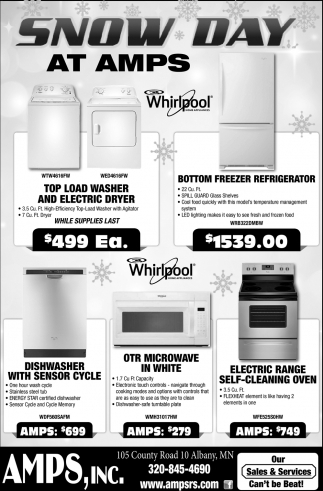 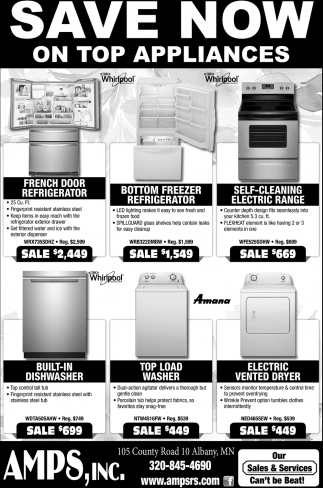 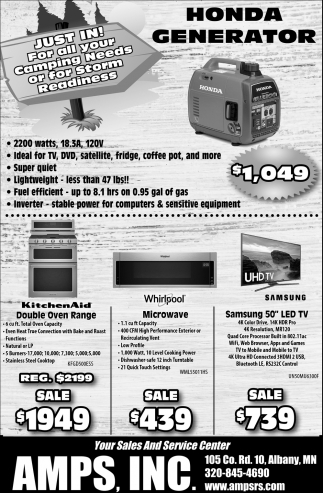 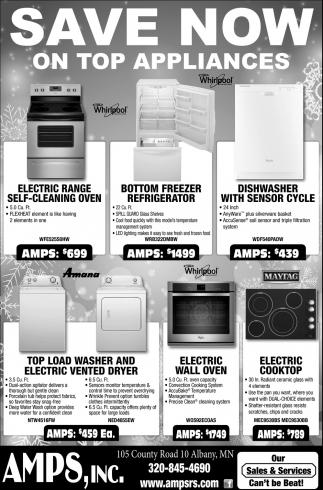 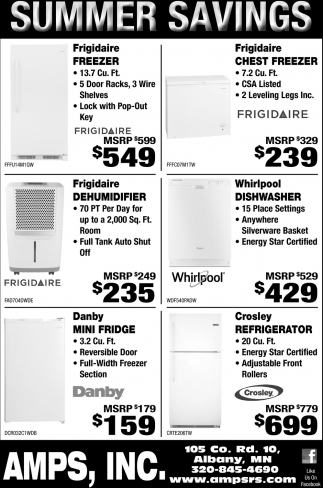 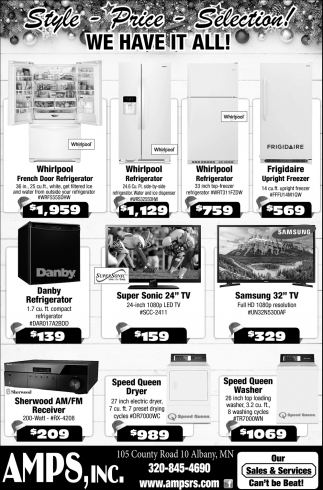 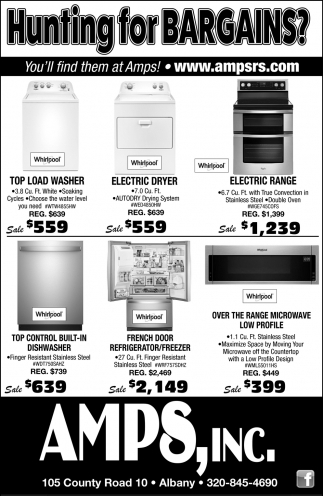 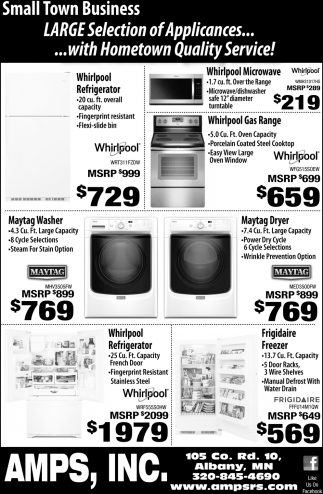 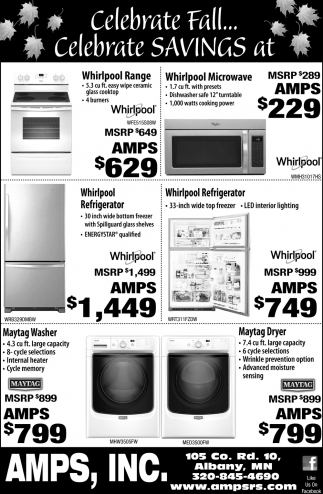 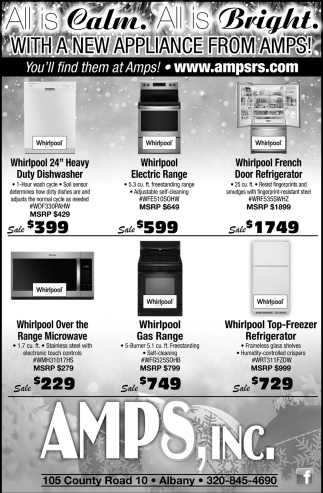 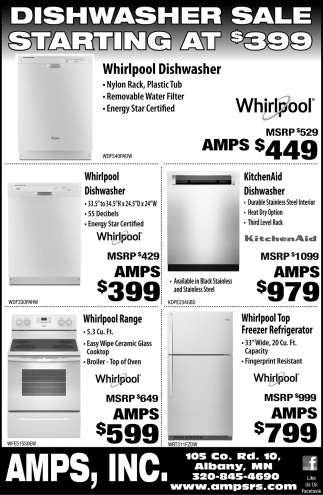 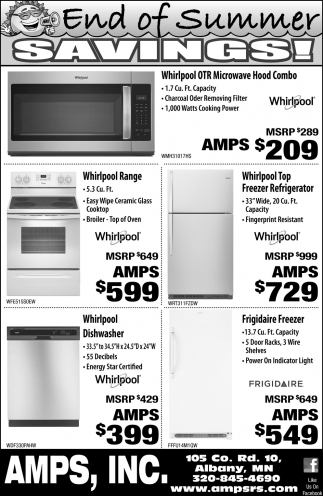 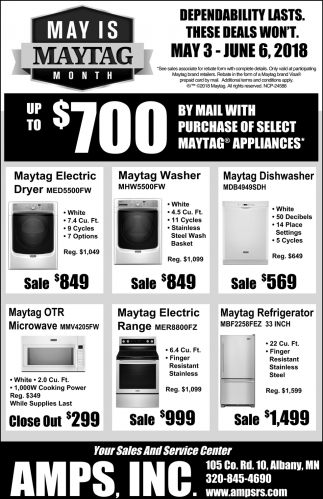 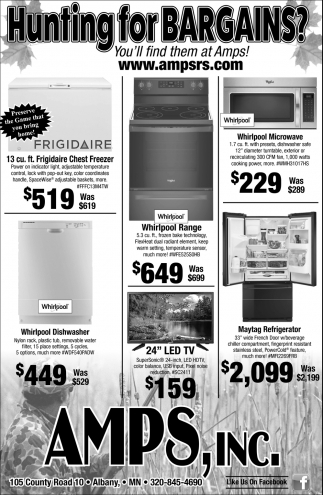 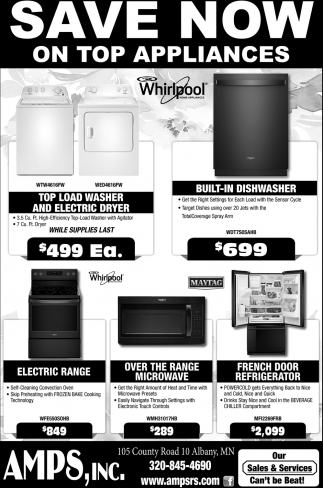 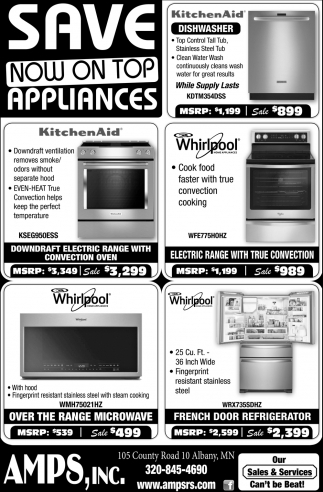 Small Town Business Large Selection of Appliances...with Hometown Quality Service! 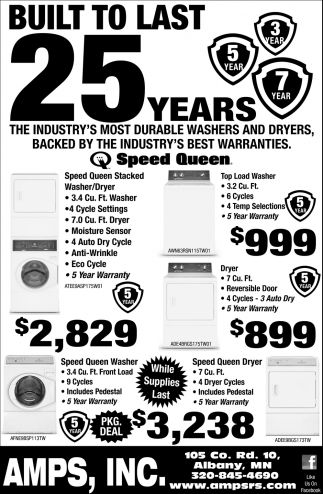 Built to Last 25 Years! 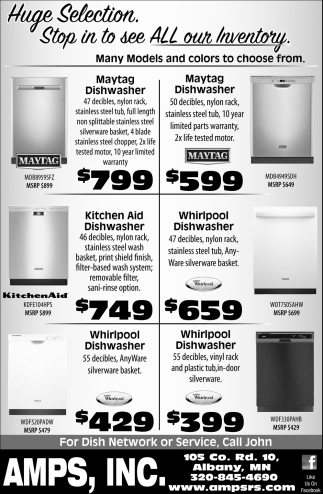 Many Models and Colors to Choose from!